First brought up by this Website [ LINK ] after the Russian Air Force gave the Lebanese Air Force 10 Mig-29's the question of recent crashes and the Algerian Air Force Return of what it called "Used Mig-29's" raises questions. MOSCOW, February 6 (RIA Novosti) - At least 200 MiG-29 Fulcrum fighters, or 70% of the total in service with the Russian Air Force, are too old to take to the skies, a Russian business daily said on Friday citing military experts. Following a MiG-29 crash in East Siberia last December, the Defense Ministry admitted for the first time that Russia's MiG-29 fleet was mostly outdated and not capable of performing combat duties. Lt. Gen. Sergei Bainetov said on Wednesday that all aircraft of this type were thoroughly inspected after the crash and the probe revealed "traces of corrosion on the tail unit of some of the planes." Only 30% of the MiG-29s were allowed to resume flights after a month-long suspension. The Kommersant daily said in an article on Friday that experts believe the aircraft, which was developed in the 1970s and supplied to the Air Force between 1983 and 1993, has become obsolete and needs to be removed from active service. In the past, the Russian Air Force rejected radical modernization of MiG-29s, choosing the upgrade of Su-27 Flanker and MiG-31 Foxhound interceptors. The production of new MiG-29s at an assembly plant near Moscow was stopped a long time ago, and in the 1990s Russia built the aircraft mainly for exports from assembly kits inherited from the Soviet Union, Kommersant said. Even though Russia's state arms exporter Rosoboronexport has promised the Defense Ministry that it will deliver in the near future 34 MiG-29SMTs, rejected by Algeria, to the Russian Air Force, these aircraft will not be able to replace 281 MiG-29 fighters currently in service. Russia's first fifth-generation fighter will make its maiden flight by the end of this year, but it will take at least five years to finally put it in service with the Air Force. Meanwhile, Russia may not be able to operate about a third of its fighter fleet, the paper said. Deputy Prime Minister Sergei Ivanov, who is in charge of arms procurement, said on January 20 that Russia's fifth-generation fighter must be commissioned with the Air Force by 2015. Algeria wants to return 15 Russian MiG fighter jets claiming they're defective. MOSCOW (AP) — A significant part of Russia's air force fleet has been grounded for two months after a MiG fighter lost its tail on a training flight, and a newspaper said Friday that at least a third of the nation's fighter jets are unsafe and should be written off or repaired. A MiG-29 crashed in southern Siberia on Dec. 5 during a training flight, killing its pilot. Another such plane had crashed in the same area in October. Air force spokesman Col. Vladimir Drik said Friday that the entire MiG-29 fleet has remained grounded as a military panel has been looking into the cause of December's crash, which occurred when a part of the jets tail section broke off. Drik told The Associated Press that the ban on all MiG-29 flights will remain in place until the investigation ends. Grounding of the MiG fleet will dent Russia's pride, dealing a blow to the Kremlin's effort to revive the military and project power worldwide. It will also hurt Russia's efforts to increase arms sales. The twin-engined MiG-29, codenamed Fulkrum by NATO, has been a mainstay of the Soviet and then Russian air force since the 1980s. Drik would not say how many MiG-29 the air force now has, but the business daily Kommersant quoted an aircraft industries official who put their number at 291. The number would represent nearly a half of the entire Russian fighter jet fleet of some 650, Kommersant said. The two other types of fighters in the Russian inventory, the Su-27 and the MiG-31, also date from the 1980s. Kommersant quoted former Russian air force chief, retired Gen. Anatoly Kornukov, as saying that Russia needs to mothball or start costly repairs of its entire fighter jet fleet. Kommersant said officials had determined that December's crash was caused by corrosion, the reason for which remained unclear. It quoted a military industries official whom it did not identify as saying the reason is simply age and wear and tear. The jets' lifetime can only be extended after costly repairs, and the air force has failed to do that, the newspaper said. Drik refused to comment on whether the air force would refurbish the fighters and how fast it can happen. He said a decision on what to do with the MiG-29 fleet will be made after the probe into the crash is completed. Despite a steady rise in defense spending during eight years of Russia's oil-driven economic boom, the military has modernized only a few dozen of Su-27s and MiG-31s. The prospects of upgrading Russia's arsenals look bleak now after slumping oil prices drained the government coffers. Kommersant said the air force had cleared about one third of MiG-29s for flights after a detailed inspection of their condition, but Drik dismissed the claim, saying all planes of the type have remained grounded. The decline of Russian military industries will likely make it difficult to modernize the jet fleet even if the government comes up with cash. Observers have said that aging equipment, an exodus of qualified industrial personnel, and lack of key components would make it difficult for the nation's defense industries to meet weapons orders. Kommersant said an aircraft-making plant in Lukhovitsy near Moscow has struggled to meet the Indian order for a carrier-borne version of the MiG-29, producing only two such planes in the past few years. In a humiliating blow to Russia, Algeria last year returned 15 MiG-29s, citing poor quality. Moscow has dismissed the claim, and the Russian military said it would commission the planes. Russia also said in December it would deliver 10 MiG-29s from the military stockpiles to Lebanon free of charge. It promised to upgrade them before delivery. Lebanon has been advised to "wait" before accepting MiGs after reports that at least a third of Russia's fighter jets are unsafe and should be written off or repaired. Air force spokesman Col. Vladimir Drik said Russia's air force fleet has been grounded for two months after a MiG fighter jet lost its tail on a training flight. A Russian newspaper also said Friday that at least a third of the nation's fighter jets are unsafe and should be written off or repaired. Drik told the Associated Press that the entire MiG-29 fleet has remained grounded as a military panel has been looking into the cause of December's crash, which occurred when a part of the jets tail section broke off. Drik said that the ban on all MiG-29 flights will remain in place until the investigation ends. Meanwhile, the daily An Nahar on Saturday quoted well-informed sources as "advising" the Lebanese government to "wait" before accepting the MiGs. An Nahar said a Lebanese delegation headed by Air Force Commander Brig. Gen. Michel Mnassa did not leave for Moscow last month as scheduled. It quoted the sources as saying that the travel delay was due to the language barrier and that Lebanese army pilots tasked for the mission were studying Russian at the Russian Cultural Center to be able to learn to fly the MiGs. Russia said in December it would deliver 10 MiG-29s from the military stockpiles to Lebanon free of charge. It promised to upgrade them before delivery. The twin-engine MiG-29, codenamed Fulkrum by NATO, has been a mainstay of the Soviet and then Russian air force since the 1980s. Kommersant said officials had determined that December's crash was caused by corrosion, the reason for which remained unclear. It quoted military industries official whom it did not identify as saying the reason is simply age and wear and tear. Commenting on the Russian report, the well-informed sources told An Nahar that Lebanon could not turn a deaf ear to these reports. BEIRUT: Safety concerns have been raised over a batch of Russian jets promised to Lebanon as part of a military aid package after a report revealed that a third of Russia's fleet of the planes are so corroded they cannot fly. Russia announced it would supply Lebanon with 10 MiG-29s as a gift during Defense Minister Elias Murr's visit to Moscow at the end of last year. At the time, Russia made a point of saying that the aircraft were not new and suffered differing degrees of wear, although it promised they would be modernized to "normal export standards." The gift was welcomed by Lebanon's Defense Ministry as evidence of a new "professional military relationship" between the two countries. But a report published in the Kommersant business daily quotes Russian defense and military sources as saying that more than a third of country's Mig-29s should be written off as obsolete because they are too rusty to take off without crashing. "Russia's Defense Ministry for the first time recognized that around 200 of its MiG-29s are not just unable to cope with their combat tasks, but simply cannot take off," the report says. The paper was published after two of the jets crashed in as many months last year, forcing the country to ground its entire fleet of the aircraft. Subsequent investigations revealed that 200 of about 500 MiG-29s were unsafe and the planes have been withdrawn from service for good. Russian military officials say that the recent accidents involving the aircraft were caused by "the destruction of the keel in the air due to corrosion." "Those fighter jets on which corrosion was not detected - and they make up approximately 30 percent of all jets - have been allowed to resume flights," a senior military officer told Kommersant. The report will come as a blow to Moscow, which has been trying to re-establish itself as a global arms exporter on the back of its economic recovery. 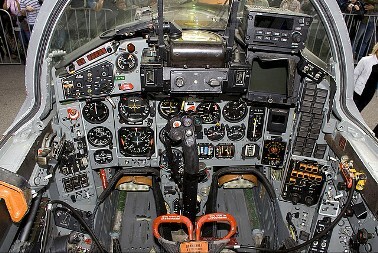 The MiG-29 was designed in the 1970s to challenge the American-made F15 and F16 fighter jets, and had been considered one of the country's most potent military jets. But the recent accidents involving the aircraft, which came months after Algeria returned a batch of 15 MiG-29s to Russia after discovering that they contained substandard parts, have undermined their reputation and the report has confirmed suspicions that many of the aircraft are in a state of disrepair. A Defense Ministry source told The Daily Star that the 10 MiG-29s would be checked by Lebanese army officers before being shipped to Lebanon. "We are waiting for an official agreement, which we are expecting in maybe two weeks," the source said. "After that, some army officers will go to check the planes and then they will begin their training in Russia." After the pilots have been trained, the planes will be brought to Lebanon to bolster the country's meager airforce, which currently consists of five Hunter Hawker jets dating from the 1950s and 1960s and just over a dozen helicopters. Lebanese political leaders have said they are open to future arms deals with Russia after Moscow said it was willing to send heavy weaponry to Lebanon for reduced prices. MOSCOW -- A significant part of Russia's air force fleet has been grounded for two months after a MiG fighter lost its tail on a training flight, and a newspaper said Friday that at least a third of the nation's fighter jets are unsafe and should be written off or repaired. (WAPA) - The Russian Air Force has resumed flights of MiG-29 Fulcrum fighters, grounded after a December 2008 crash in East Siberia that killed a pilot, a Defense Ministry official said on Wednesday. RUSSIA — A significant part of Russia’s air force fleet has been grounded for two months after a MiG fighter lost its tail on a training flight in December, and a newspaper said Friday that at least a third of the nation’s fighter jets are unsafe and should be written off or repaired. The MiG-29 crashed in southern Siberia on Dec. 5, killing its pilot. Another such plane crashed in the same area in October. The business daily Kommersant quoted an aircraft industries official who said the MiG fleet numbers 291. That would represent nearly half the Russian fighter jet fleet of 650. MOSCOW (Reuters) - About one-third of all Russian fighter jets should be written off as obsolete because they are unable to fly, the Kommersant business daily reported on Friday, quoting defense ministry and military officials. Russia grounded all of its MiG-29 fighter jets last December after two of the aircraft crashed near the same airfield in eastern Siberia in just as many months. One pilot died. Flights of MiG-29s have resumed since then, but hundreds are simply too old even to take off, Kommersant said. "Russia's Defense Ministry for the first time recognized that around 200 of its MiG-29s are not just unable to cope with their combat tasks, but simply cannot take off," the paper said. The report could hit Russia's reputation as a leading arms exporter and undermine Kremlin attempts to project Russia as a revived military power. Both of the MiG-29s that crashed in eastern Siberia had been in service since 1985, Kommersant wrote. "The main cause of the crash of the MiG-29 aircraft was the destruction of the keel in the air due to corrosion," the paper quoted Lt.-Gen. Sergei Bainetov, head of the Defense Ministry's flight safety department, as saying. ABOUT a third of all Russian fighter jets should be written off as obsolete, as they are unable to fly, the business daily, Kommersant, reported yesterday. Russia grounded all of its MiG-29 fighter jets last December after two crashed near the same airfield in Siberia in as many months. One pilot died. MOSCOW: The Russian air force says its fleet of MiG-29 fighter jets remains grounded while investigators try to determine the cause of a crash in early December. A MiG-29 crashed in southern Siberia on Dec. 5 during a training flight and the pilot was killed. Another MiG-29 had crashed in the same area in October. Air force spokesman Col. Vladimir Drik said Wednesday that December's crash occurred when a part of the jet's tail section broke off but the cause of that is still unclear. He said for that reason the ban on MiG-29 flights remains in force. The twin-engined MiG-29 has been a mainstay of the Soviet and then Russian air force since the 1980s. Grounding of the jets has significantly reduced the air force's capability. MOSCOW, Feb 6 (Reuters) - The following are some of the leading stories in Russia's newspapers on Friday. Reuters has not verified these stories and does not vouch for their accuracy. - The head of the Russian Technologies state holding, Sergei Chemezov, is seeking state support and state credit guarantees worth a total of $7,22 billion, the daily reports. 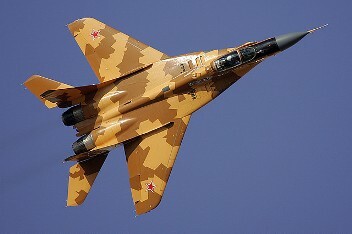 - Russia's Defence Ministry has admitted that about 200 aging MiG-29 fighter jets are not fit to fly, the daily reports. MOSCOW - A significant part of Russia's air force fleet has been grounded for two months after a MiG fighter lost its tail on a training flight, and a newspaper said today that at least a third of the nation's fighter jets are unsafe and should be written off or repaired. Air force spokesman Col. Vladimir Drik said today the ban on all MiG-29 flights will remain in place until the investigation ends. The head of Sukhoi’s holding company, Mikhail Pogosyan, has taken the general director’s chair of the rival fighter manufacturer MiG Corp. with an aim to integrate the latter company into United Aircraft Corp.’s (UAC) combat aircraft division. MiG — which has in its structure a design bureau, two serial manufacturing plants in Moscow and Lukhovitcy, and also the controls activity of engine manufacturers Chernyshev and Klimov — needs urgent financial recovery. A recent audit revealed that its debt amounted to roughly $1.5 billion, according to reported figures. The collapse of a $1.3 billion export deal with Algeria on deliveries of 28 MiG-29SMTs and six MiG-29UBTs, as well as a lack of domestic orders, heave created serious problems with the corporation’s cash flow. One of Pogosyan’s new tasks is to improve MiG’s financial position prior to its inclusion into UAC. He also intends to integrate both fighter manufacturers, Sukhoi and MiG, into a single efficient structure, which will develop, manufacture and support combat aviation UAC products. “Our aim is to gain [synergistic] effect through infrastructure ... optimization, manufacturing cost [cutting], single technical politics development [and] after-sales service improvement,” Pogosyan said in his inauguration speech at MiG. He retains his posts of vice president of UAC and Sukhoi general director. The new appointment was supported by the government, which already decided to inject 15 billion rubles ($500 million) into its establishing capital fund. The Russian defense ministry recently signed a contract with MiG worth more than 20 billion rubles to acquire 28 MiG-29SMTs originally intended for Algeria, and is negotiating the purchase of the remaining MiG-29UBTs from this batch. MOSCOW - The Russian Air Force will procure 34 MiG-29 fighter jets that were rejected last year by Algeria, which claimed the aircraft were assembled from used spare parts, Russian officials said. "Procurement of these MiGs by the Russian Air Force confirms the high quality of these aircraft," a spokesman for the Rosoboronexport state arms export monopoly said Jan. 14. Rosoboronexport attempted to sell 26 MiG-29SMT and six MiG-29UB light fighter jets to Algeria as part of the record arms export deal with the north African country, signed in March 2006. The MiG contract was worth almost $1.3 billion while the total deal amounted to $7.5 billion. In March, Algeria returned the 15 fighters that had already been shipped there, saying the aircraft were assembled from used parts. Yelena Fyodorova, a spokeswoman for RSK MiG, which produced the fighters, said Jan. 14 that company experts and specialists from the Russian Defense Ministry's scientific research institutes thoroughly examined the returned aircraft and found them in perfect condition. A source in the Defense Ministry told the RIA Novosti state news agency Jan. 13 that the MiGs will be procured domestically under the 2009 state defense order. For several years, there was no domestic procurement of MiG fighters. Mikhail Pogosyan, the general director of MiG's rival aircraft maker, Sukhoi, who was just appointed general director of MiG, promised he will work to include MiG fighters into the state defense order in 2009.